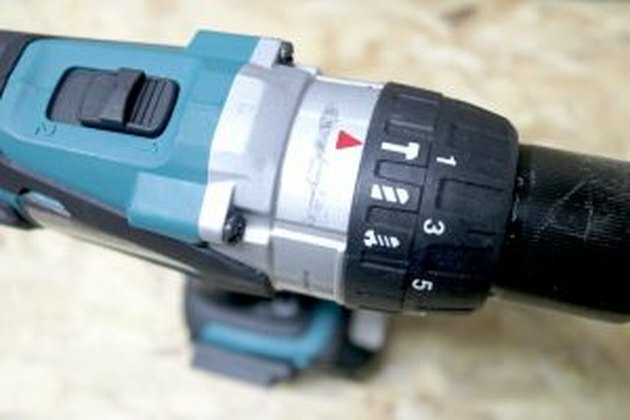 The most compact and powerful cordless drills are brushless. 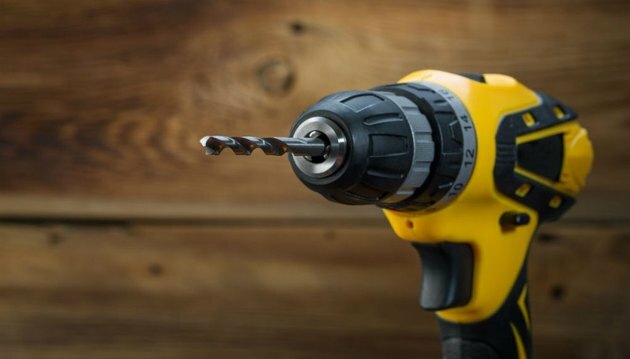 If you're in the market for a drill, chances are you're going to go for a cordless one. It has all the power of a corded drill without the inconvenience of the cord. Your search will reveal that some models are more compact than others and include features such as longer battery life, enhanced power and automatic load recognition. Those models have brushless motors. No drill motor contains actual metal brushes, such as you would find on an automobile alternator. The brushes on DC motors that run on battery power are actually carbon slabs that are in constant contact with the motor shaft. Eliminating these slabs eliminates the friction they produce, which makes the motor run cooler and more efficiently. A brushless motor is basically an inverted version of a brushed one. Armature—a rotor upon which are mounted a number of electromagnets. It spins freely inside the stator. Commutator—a metal ring mounted to the armature shaft. Brushes—carbon slabs that remain in contact with the commutator to keep power flowing to the armature coils. A brushed DC motor relies on magnetic inductance, which is the phenomenon that causes a core wrapped with a coil of current-carrying wire to behave like a magnet. When such a coil is wrapped around an armature and placed in the field of a permanent magnet, the armature rotates so that its poles align with the permanent field. If the electrical current direction remains constant, the armature will stop rotating as soon as its poles are as close to the opposite poles of the permanent field as possible. However, if you can switch the current direction at the moment the coil reaches this equilibrium point, the coil will keep spinning. That's the job of the commutator and brushes. The commutator is divided into disconnected sections, and as the armature spins, each section contacts the brushes in turn. There are two brushes, and each one connects to an opposite pole of the battery. This ensures that, as the rotor spins, the current flowing to the coils continuously reverses direction. This produces the required reversal in the magnetic field that enables the rotor to keep spinning. One of the main problems with this arrangement is that friction between the brushes and the commutator wastes battery power by producing heat. Another problem is that the arrangement puts a lower limit on the size of the motor. Brushless motors also rely on magnetic induction, and they also have a rotor and a stator. The difference is a simple one: The permanent magnet is installed on the rotor instead of the stator, and the electromagnets are mounted on the stator. This eliminates the need for the commutator and brushes. The electromagnets are connected directly to the battery, and the polarity can be reversed by means of a control circuit. Besides being more efficient, brushless drills are "smarter" than brushed ones. When applied to power drills, brushless technology creates a number of important advantages. Longer tool life: The constant friction generated as the commutator spins against the brushes wears down the brushes, and they eventually lose contact. Sparks can fly, and that can be dangerous when working near flammable materials. It is possible to replace the brushes, but it's usually more cost effective to simply buy another drill. You won't have this problem with a brushless drill because there are no brushes. No risk of overheating: If you use a brushed drill for an extended period, the friction generated by the brushes can become intense enough to affect the operation of the motor. This can't happen with a brushless drill, which remains cool to the touch even when drilling through hard materials. Batteries last longer: Because brushless motors don't waste energy through friction, more battery power is available for doing the work at hand. More compact design: Brushless motors don't require as much space, which means the drill itself can be smaller and easier to use in small spaces. Smaller drills are more elegant, and they take up less space in your tool chest. Brushless technology provides one more important benefit. Because power to the electromagnets is regulated by a circuit board rather than a mechanical brush/commutator system, manufacturers can build in features that enhance performance and efficiency. Brushless drills are able to "sense" the density of the material into which you're drilling or driving a screw and supply just the right amount of power to do the job. Such smart features, which are an upgrade from older variable speed models, can reduce battery draw up to 52 percent. Most contemporary battery drills use lithium-ion batteries, which last longer than the nickel-cadmium predecessors and virtually never need reconditioning, so a single battery charge is enough to drill significantly more holes or drive more screws than you could drill or drive with a brushed drill. Is My Drill Supposed to Spark?